LAS VEGAS, Jan. 17 /PRNewswire/ -- Nevada Front Sight Firearms Training Institute -- Dr. Ignatius Piazza, Founder and Director of Front Sight Firearms Training Institute is known as the "Millionaire Patriot" by the hundreds of thousands of students he has trained because during the last 11 years, Dr. Piazza has provided tens of millions of dollars in free training and benefits to assist Americans in securing what he refers to as the "Comfort of Skill at Arms." Dr. Ignatius Piazza wants all Americans to have the ability to defend themselves, their families, communities and country from enemies-foreign and domestic-and he has consistently backed his "armed and trained" philosophy with his wallet. Known equally well for his philanthropic efforts as he is know for his firearms expertise, Four Weapons Combat Master, Dr. Ignatius Piazza has donated millions of dollars in firearms training courses to numerous pro gun organizations including the Friends of the NRA, Gun Owners of America, and Jews for the Preservation of Firearms Ownership. In his latest effort to place a gun in the trained hands of law abiding citizens, Dr. Ignatius Piazza, the Millionaire Patriot, is providing a Springfield Armory XD Pistol free of charge to the first 5,000 law-abiding citizens who take advantage of his offer. When all 5,000 tactical handguns are taken, Dr. Ignatius Piazza and his Front Sight Firearms Training Institute will have provided over $3 million dollars in free handguns to law-abiding citizens who are quick to take advantage of his offer. At the time of this press release, only a few days after Dr. Piazza released the offer on his website, 563 citizens have already responded and secured one of Ignatius Piazza's free handguns and the five days of professional handgun training at Front Sight Firearms Training Institute. 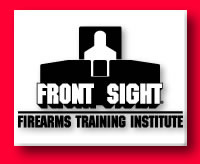 Upon completion of the five days of handgun training, graduates of Front Sight Firearms Training Institute have everything they need to secure Concealed Weapons Permits in over 30 States.